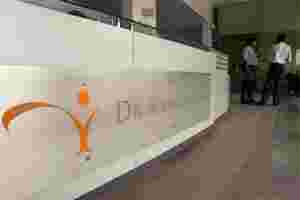 Hyderabad: Dr Reddy’s Laboratories Ltd said second quarter profit rose 7.4% from a year earlier as the drug maker benefited from strong sales in North America and Russia. Net profit, including that at its units, rose to ₹ 307.8 crore in the three months ended 30 September from ₹ 286.7 crore in the year-ago period, the Hyderabad-based drug maker said in a statement on Tuesday. Sales gained 21% to ₹ ,267.9 crore. Indian drug firms, which account for about a third of U.S. applications for approval to sell generics, could add $2 billion to $2.5 billion in US sales in the next five years, doubling their revenue from the country, according to a report by Morgan Stanley. Drugs worth more than $140 billion are likely to go off patent in the next five years. Dr. Reddy’s launched five generic drugs in the US market in the fiscal second quarter alone. Second-quarter consolidated net profit rose 7.3% to ₹ 308 crore ($61.81 million), the Hyderabad-based firm said on Tuesday. Analysts expected net profit of ₹ 267 crore, expressing concern about pricing in the domestic market and high operational costs. Shares in Dr Reddy’s Labs, which have lost 11.6% in value this year versus a 17% drop in the benchmark healthcare index , closed at ₹ 1,579.55, up 2.3% in a firm Mumbai market. The drugmaker, also listed in the New York , said sales grew 21.2% to ₹ 2,268 crore. “The numbers are all above expectations. Russia has done much better; US has also done better than expectations," Sarabjit Kour Nangra, vice president-research, Angel Broking, told Reuters. “Going forward, we expect the company to report strong numbers for next two years at least." Business in Russia grew 23% to ₹ 340 crore. Sales in India grew 9% to ₹ 350 crore but Europe saw a dip of more than 10% to ₹ 210 crore. Larger rival Ranbaxy, majority-owned by Japan’s Daiichi Sankyo , plans to launch a generic version of Pfizer’s blockbuster Lipitor in the US market, where it will compete with Dr Reddy’s in selling the cholesterol-lowering drug. Ranbaxy plans to launch the drug on Nov 30 and is entitled to six months of marketing exclusivity. Dr Reddy’s Labs’ sales, general and administration expenditure increased 26 percent on year to ₹ 720 crore, on high freight charges, marketing expenditure in Russia and employee cost across business segments, it said. Tax expenses nearly doubled to ₹ 63.03 crore. “The numbers are good but there are concerns on operating margins side on higher costs," Sushant Dalmia, analyst at Pinc research said.